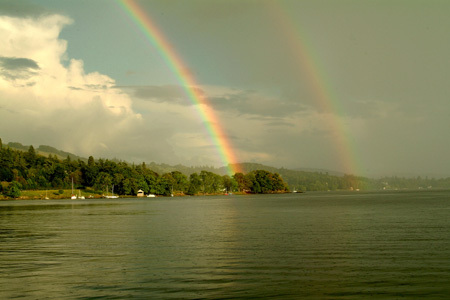 Windermere and Bowness Cumbrian tourist information part of Lakestay for lovers of the Lakes. Acton House 41 Craig Walk, Windermere LA23 2HB Tel0153945340. Almaria House 17 Broad Street, Windermere LA23 2AB.01539 43026. Applegarth House College Rd, Windermere LA231BU Tel.01539 46636. The Archway 13 College Road, Windermere LA23 1BU Tel.01539 45613. Ashleigh Guest House 11 College Road, Windermere LA23 1BU,Tel 01539442292. Autumn Leaves 29 Broad Street, Windermere LA23 2AB Tel.015394 48410. The Beaumont Holly Road, WindermereLA23 2AF Tel.015394 47075. Beckmead House 5 Park Avenue, Windermere LA23 2AR Tel015394 42757. Beckside Cottage 4 Park Road, Windermere LA23 2AW Tel.015394 42069. Biskey Howe Villa Hotel 151 Craig Walk, Bowness on Windermere LA23 3AX Tel. 015394 43988. Boston House The Terrace, Windermere LA23 1AJ, Tel. 015394 43654. Chartfield 29 Oak Street, Windermere Tel. 015394 45764. Chestnuts Guest House offers Luxury Lake District B&B Accommodation in Windermere; choose from 7 individually designed en-suite bedrooms each with flat screen TV's & free Wifi. Breakfast Included. Address: Princes Road, Windermere, Cumbria. LA23 2EF. Chestnuts Hotel Princes Rd Windermere. Tel 01539446999. College House 15 College Rd Windermere LA23 1BU Tel 015394 45767. Crookleigh 5 Woodland Rd Windermere Tel. 015394 42288. Eastbourne Biskey Howe Road, Bowness on Windermere LA23 2JR Tel.015394 43525. The Fairfield, Brantfell Road, Bowness on Windermere LA23 3AE 46565. Fayrer Garden House, Lyth Valley Rd, Bowness on Windermere LA23 3JP Tel.0500 432177. Holbeck Ghyll Country House Hotel,Holbeck Lane, Windermere LA23 1LU Tel.015394 32375. Lakeside Hotel is a 4-star hotel situated on the shores of Lake Windermere in the English Lake District. Spacious, richly decorated and sumptuously furnished throughout, nothing comes close to us - except the Lake. 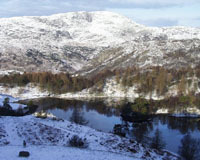 Lindeth Howe Country House Hotel, Longtail Hill, Bowness on Windermere LA233JF Tel.015394 45759. Low Wood Hotel,Ambleside Road, Windermere LA231LP Tel.015394 34072. Miller Howe Hotel, Rayrigg Road, Windermere LA231EY Tel.015394 45664. Oldfield House, Oldfield Rd Windermere LA23 2BY Tel.015394 43250. Rosemount, Lake Rd Windermere LA23 2EQ Tel.015394 48978. Royal Hotel, Queens Square, Bowness on Windermere LA23 3DB Tel.015394 44990. The Westbourne Hotel, Biskey Howe Rd, Bowness on Windermere LA232JR Tel.015394 43625. Westlake, Lake Rd, Windermere LA23 2EQ Tel.015394 43020. The Whitewater Hotel & Leisure Club; 3-star Whitewater Hotel and Leisure Club, exceptional Lake District destination for holidays, weddings, banqueting and business events. Features Riverside Restaurant and Cascades Health and Fitness Spa with indoor pool, gymnasium, beauty spa. Wild Boar Hotel, Crook LA23 3NF Tel.015394 42498. 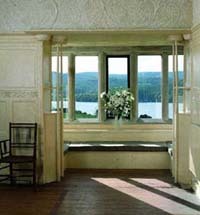 Mortal Man Hotel Troutbeck Near Windermere LA23 1PL Tel 015394 33193.
overlooking Windermere...well worth a visit.